I’d forgotten how much obligatory reading I used to have to do. In 1985, I was in the first year of my degree course in French and Scandinavian Studies (mostly Swedish, with a bit of Danish thrown in for good measure). I was never the fastest of readers, so by the time I’d got through Stendhal‘s epic Le Rouge et Le Noir (which, according to my diary, I bought today), the entire four-year course was all but over. These days, it feels like it would be so much easier. 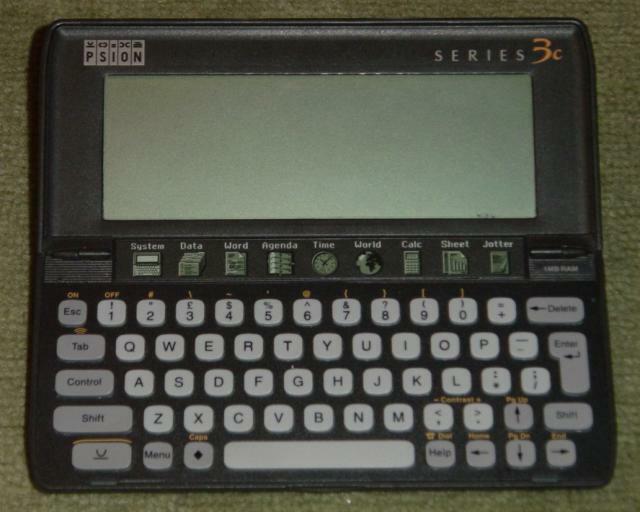 Yes, I’m talking about my Kindle. I haven’t read a physical book since I was introduced to my Kindle; but I’m not sure ‘read’ is really the right word – Kindling is an activity that feels different enough to deserve its own name. Like everything else, Kindling comes with its good and bad points, so here are my top ten reasons why it’s great – plus another five that should reassure you that my love is not blind. 1. 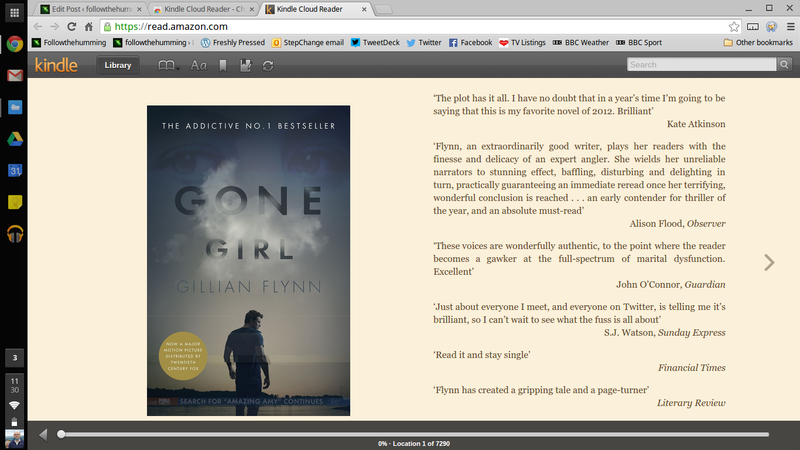 I can read faster on my Kindle. I have absolutely no scientific evidence for this whatsoever, but as a notoriously slow reader, I can tell when I’m motoring through pages at a decent lick – and my Kindle maximum is a darn sight higher than my standard top speed. 2. I never have to buy trashy airport novels or exceed my baggage allowance with loads of weighty books. I have as much of the world’s literature as I can afford already in my pocket – and it will never weigh an ounce more, even if I do decide to buy Le Rouge et Le Noir at some point for old times’ sake. 3. I can try before I buy. As someone from the old school of being morally obliged to finish a book once I’ve started it, sample chapters are a godsend and can save me months of heartache and frustration. I just wish my Kindle had been around before I bought The Da Vinci Code. There’s a few months of my life I’ll never see again. 4. I can concentrate on what I’m doing. There’s nothing else really going on to get in the way of some serious reading, like dog-eared pages, coffee cup stains or distracting covers. The uniformity of the overall experience lets me hone my powers of Kindling to the max. 5. No one knows what I’m reading. Embarrassing books or covers are no longer a worry in public places. I haven’t read Fifty Shades of Grey and have no intention of doing so, but you get the idea. ‘Nuff said. 6. I have a vague feeling of being part of something. In a spooky way, I feel just a teensy bit connected to other books and other people. I can ignore both if I want to, but at least they’re there if I need them. 7. I Kindle on my own terms. Font size and line spacing are suddenly up to me, not an anonymous typesetter somewhere. If that isn’t power, I don’t know what is. 8. I can save my favourite bits. Not just from one book, but from every book I read – and keep them all together in one place. I have no idea why I find this so cool, but I do. 9. I actually look up words I don’t understand. In the past, I would almost never have looked up the meaning of a word I didn’t know in a dictionary – especially if I was cosy and warm and tucked up in bed. On my Kindle, I do it all the time and now know the meaning of crepitus , xenobiotic and of course, sciolism. 10. I can fool myself that my eyesight is not deteriorating. Just adjust that font size and pretend it’s not happening. Who knows, it might not be. 1. Every book feels a bit the same. There’s so little that obviously distinguishes one book from another – size, weight, colour, font, spacing – that I occasionally get myself all mixed up and start wondering why Jack Reacher is suddenly in Life of Pi. 2. You can’t easily flick backwards to check stuff. OK, you can, but not easily or quickly enough for my liking, and especially not if you’re going back a long way and need to check the name of a minor soldier you last encountered 300 pages ago in War and Peace. 3. Pages don’t stay the same. 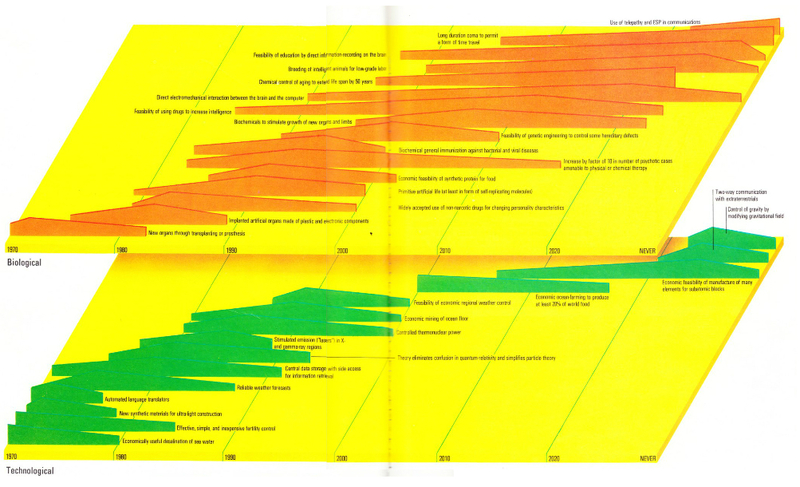 This is probably just me, but I remember a lot of what’s-happened-when in a book from the physical layout of the page. I’ll know for example that a particular scene happened a couple of pages after the start of the previous chapter, on a page with lots of dialogue and a long, solid paragraph at the bottom, and with a speck of mud-coloured dirt in the top right-hand corner. Kindling doesn’t give me these kind of clues, and if a bit of mud-coloured dirt is on one page, it’s on every page. 4. There’s no hard evidence of what you’ve read. Finishing a book has always provided a moment of minor celebration and achievement for me, but somehow I don’t get the same buzz with my Kindle. Putting a completed book on a shelf somewhere has been like a rite of passage. All I’ve got now is a screen full of digital covers that only I ever see. My bookshelves are starting to look rather forlorn, and increasingly either out of date, empty, or filled with other stuff that’s probably even harder to dust. If I was in the bookshelf industry, I might start thinking about diversifying. 5. You can’t see what other people are reading and get inspired by it. Watching someone absorbed in a book on the train and making a mental note to buy a copy is becoming a thing of the past. I can confirm that peering closely at fellow travellers’ Kindles to try and achieve the same effect is frowned upon and considered impolite, creepy and whatever else it was that woman said before she moved to the other side of the carriage. This entry was posted in Books, Language, Popular culture, Reading and writing, Technology and tagged Amazon Kindle, E-books, Jack Reacher, literature, Stendhal, The Red and the Black, Top 10 on March 29, 2013 by followthehumming. On this day back in 1985 I am not happy. One of my cassette tapes has broken, beyond even the ability of a rewinding pencil to repair it. Understand please that this was not just any tape. To record it five years earlier in 1980, I had plugged a tiny microphone into my portable cassette recorder, and propped it up against the speaker of my bedside radio alarm clock. 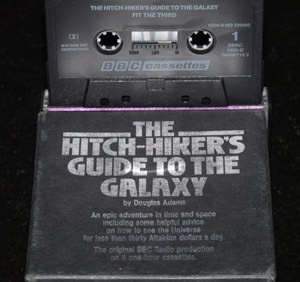 The squeaky-sounding reward for my efforts had eventually been the full second series of the Hitchhiker’s Guide to the Galaxy, which I then listened to on a fairly perpetual loop every night for years afterwards. The lost episode was the one in which Zaphod utters the most obscene word in the universe (‘Belgium’, in case you were wondering – fortunately here on Earth we don’t know what it means) – not once but twice. No such trouble these days, with the entire five Hitchhiker radio series available for download from the likes of the iTunes store, stored in the cloud if I need to access any of them, and syncable across as many devices as I can afford. It can feel as if this sort of ubiquitous availability is somehow also equivalent to permanence – that Douglas Adams‘ work is now saved and secured forever. But that’s surely a mistake. Who’s to say what the world will be like years from now, and whether we’re even capable of building a digital infrastructure that will stand the test of time? Interesting then, that when the Long Now Foundation – an organisation dedicated to long-term thinking and the originators of the wonderful 10,000 year clock – were considering how best to preserve a record of the world’s many disappearing languages, they decided to etch the information onto a nickel disk in addition to committing it to the potentially ephemeral ones and zeroes of the cloud. Copies of the disk will be sent off into the centuries to come in the hands of individual owners across the world – a physical, distributed, analogue storage system far more capable of surviving a journey of thousands of years into into the future than anything the digital world currently has to offer. If we want to avoid on a grander scale the kind of sad end that befell my cassette, we’re going to have to work a lot harder at managing both our data and the platforms that allow us to access it. Within a year or two – possibly less – the technology required to play my remaining Hitchhiker tapes will probably have departed the house – unlikely ever to return. This entry was posted in Books, Communication, Language, Popular culture, Storage, Technology and tagged Douglas Adams, Hitchhiker's Guide to the Galaxy, Long Now Foundation, Long-term thinking, Rosetta project on March 20, 2013 by followthehumming.